Elizabeth was content to ignore potential suitors; she considered religion to be the most pressing and divisive issue in England. Having lived through years of spiritual upheaval, she well understood her subjects’ need for peace. But it would not be easy to find. Both Protestants and Catholics had suffered throughout the reigns of Henry VIII, Edward VI, and Mary I. Henry’s religious policies had been muddled and disarming; no one, even the king, knew the definition of heresy. Or rather, they knew heresy was whatever the king commanded, and that changed from year to year. Edward had been a devout Protestant, as had his councilors. The six years of his rule witnessed its political and social triumph, primarily through southern England. The independent north remained conservative and Catholic. Mary had been an equally devout Catholic, imbued with genuine religious fervor. She brought papal privilege back to England after a twenty-year absence. And now Elizabeth came to the throne, having been Protestant and Catholic, for she had tacked to the treacherous winds of her siblings’ courts. Each faith harbored grievances against the other. Her Protestant councilors increasingly felt that Catholics were political traitors, as if their very faith implied a lack of patriotism. They warned Elizabeth that the pope commanded her Catholic subjects, not she; only a swift and strong blow could ensure their fear and forced loyalty. But for the queen, her Catholic subjects were also, quite simply, subjects. If they recognized her rule, she had no qualms about their private worship. Let them go publicly to Protestant services and then do as they wished at home. So long as they did not rebel, she was content not to pry. This generosity, echoed in Mary Stuart’s behavior in Scotland, was considered a weakness by many. And many Catholics did not trust the queen’s promises. 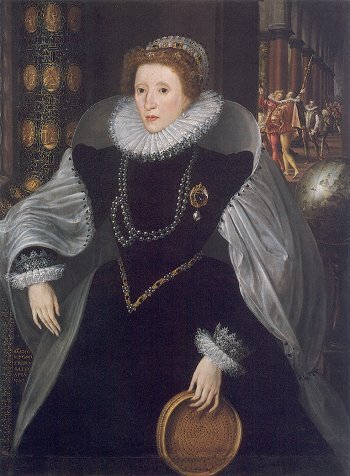 Elizabeth’s first parliament met from January to April 1559. The new queen did not bother to revoke her illegitimacy, as Mary had. This was indicative of Elizabeth’s self-confidence and her ability to let the past go. She even welcomed her former jailer Bedingfield to court, though with a caustic wit. Religious turmoil was soon the subject of impassioned debate. The royal supremacy – the royal title of Supreme Head of the Church of England – was reinstated, though altered to ‘Supreme Governor’. In the House of Lords, many bishops resisted the changes but they were quickly replaced by others, led by Matthew Parker as archbishop of Canterbury. Elizabeth pressed for a restoration of the 1549 Prayer Book, which she felt would be acceptable to Protestants and most complacent Catholics. But the new bishops preferred the 1552 Prayer Book; it was rather vague about most controversial maters and thus less offensive to Catholics. Elizabeth assented and the Act of Uniformity was passed. She was particularly successful in making religious dissension a political matter, rather than a troublesome question of doctrine. In the Oath of Supremacy, in which her authority as Supreme Governor was recognized, the queen’s powers were explicitly outlined. It was a simple matter to remove Marian stalwarts from positions of authority, and about 300 clergy were dismissed. In total, one third of parish clergy were replaced. Most Englishmen were content with this settlement, though extremists on both sides felt it inadequate. Elizabeth effectively placed the church under control of the crown, thus merging religious and political power in her person. ‘From the very beginning of her reign she has treated all religious questions with so much caution and incredible prudence that she seems both to protect the Catholic religion and at the same time not entirely to condemn or outwardly reject the new Reformation…. This balance was maintained successfully through most of her reign. However, in later years, two great problems emerged. The first was the growing popularity of the Puritan movement. This extreme form of Protestantism was a direct attack upon the royal supremacy. In England, the Puritans were directly influenced by continental Presbyterians. They believed passionately in one rule only, that of Holy Scripture. They also believed in a fellowship of ministers; parishes would elect their own religious leaders, under the supervision of a group of elders. In other words, the parishes would usurp the power of the queen. For the Puritans, it became distressingly clear that the Church of England was more dedicated to England and its ruler than to God. Elizabeth’s government was able to keep the Puritan movement underground. John Whitgift, who became Archbishop of Canterbury in 1583, attempted to neutralize their cause by adopting some needed reforms. But he did not wish to create Puritan martyrs, as Mary I had created Protestant ones. He was also more interested in establishing a uniform clergy rather than debating doctrine. A few Puritans were executed and many others banished under Whitgift; his use of the church courts robbed the new doctrine of its momentum. It remained troublesome to the queen, but never a real threat. Elizabeth’s rule was preferable to any other; she had become, however unwillingly, the champion of the Protestant cause. Puritan attempts to check the royal prerogative would only succeed in the next generation. The Catholics, however, became a genuine threat to the queen’s very life. While the Puritans used words against the queen, the Catholic extremists were eventually prepared to kill her. The first decade of Elizabeth’s reign found the Catholics relatively quiet and content. They were settled mainly in the north and west of England, and accepted the 1559 religious settlement. They believed Elizabeth to be illegitimate and thus ineligible to be queen, but neither Pope Paul IV or his successor, Pius IV, seriously challenged her title. She was not even excommunicated until 1570. The two greatest European powers, Spain (the Hapsburg Empire) and France, were cautious but friendly. England had long been a balance between their competing interests. And as mentioned earlier, Philip II of Spain had even sought to marry Elizabeth. For her part, the queen took care not to disturb calm waters. But calm can be deceptive and misleading. In 1568, ten years into her reign, Elizabeth was forced to abandon her studied disinterest and choose sides. Europe was caught in bloody religious turmoil. There was a Protestant rebellion in the Netherlands and Philip II sent the duke of Alva to crush it. There was now a massive military power directly across the Channel from England. Elizabeth’s council could only wonder – once Alva’s force completed its bloody business there, would he then look to England? And that same year, Mary Stuart fled her disastrous reign in Scotland to seek Elizabeth’s help. She needed an army to recover her throne from Protestant rebels who had forced her abdication and imprisoned her. Elizabeth and her councilors were aghast. Mary was the true queen of England in the eyes of Catholic Europe, as well as some Catholic Englishmen. And she was now in England, on her way to becoming the greatest quandary of Elizabeth’s reign. 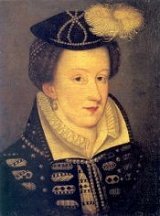 Just as Elizabeth had been the inevitable focus of conspiracies and plots against Mary I’s rule, Mary queen of Scots would be the focus of discontent against Elizabeth. And if Elizabeth should die, naturally or otherwise, Mary had the strongest claim to the English throne. All of the Protestant councilors were terrified; what should they do with Mary Stuart? Also, a Catholic missionary college was founded at Douai in Flanders by the Englishman William Allen. He planned to take a proactive role in reasserting his faith in England, and he attracted many dedicated followers. Douai was soon a flourishing center for anti-Elizabethan plots and propaganda. For the queen, her cherished and precarious balance, successfully maintained for a decade, was falling to pieces. She took the precaution of imprisoning Mary queen of Scots in a variety of secure castles. At first, this ‘imprisonment’ was little more than an inconvenience since Mary wished to return home. She sincerely believed Elizabeth would help her, as a fellow queen and cousin. She never recognized the political danger she brought to bear upon her ‘sweet sister’. Elizabeth was told by the Protestant lords in Scotland that Mary was unwelcome; she faced certain death if she returned. Her infant son (whose birth caused Elizabeth to exclaim, ‘Alack, the Queen of Scots is lighter of a bonny son, and I am but of barren stock!’) was now king. The Scots also plied Elizabeth’s council with evidence of Mary’s complicity in her second husband’s murder. Would the queen of England lend her support to such a woman? It was indeed a vexing problem. Elizabeth settled upon appointing a commission to investigate the charges against Mary. And soon enough, she had even more pressing concerns. The conservative north had never been friendly to the Tudor dynasty. The last Plantagenet king, Richard III, had been their lord; they led rebellions against his killer and successor, Henry VII. The first Tudor king succeeded in establishing nominal authority over the fractious northern earls. His son, Henry VIII, was equally troubled. His Reformation led to the great northern rebellion known as the Pilgrimage of Grace in 1536. Henry dealt brutally with the rebels and made only one northern progress afterwards, taking his fifth queen, Catherine Howard, to York soon after their marriage. Edward VI’s Protestant council was also troubled by the north while the Catholic Mary I gained her greatest support there. She rode north after Dudley seized control of London and had Lady Jane Grey crowned queen. Elizabeth had long recognized its intransigence. She was never particularly close to the great northern lords of her reign, the earls of Northumberland and Westmorland, and the only duke in England, her Howard cousin Thomas, 4th duke of Norfolk. She showed Norfolk some degree of personal affection, as she did all of her maternal relatives. But she recognized his ambition and their religious differences. As a duke, he was one of the wealthiest men in England and thus had great influence. Yet he was never a close advisor to the queen. The arrival of Mary Stuart was the great at Elizabeth’s court in 1569. What would the queen do? Some of her councilors, including Dudley and Throckmorton, thought Mary should wed the premier peer in England. This was, of course, the queen’s cousin Norfolk. Cecil was vehemently opposed; he disliked Norfolk and his opposition only strengthened Dudley’s support. Two problems could possibly be solved by the marriage – Mary Stuart would be safely settled in England and the succession would be assured. Elizabeth recognized this short-sighted solution for the mirage it was, for how long would she live after the marriage? Her realm would be bitterly divided and torn, with rival factions centered upon herself and Norfolk. As future king of England, he might dare to rebel against her. And what support would she gain, a ‘Virgin Queen’ with only her subjects’ love to sustain her? And despite her pragmatism, Elizabeth was Protestant and the Norfolk marriage would be a Catholic triumph. The queen soon let both Dudley and Norfolk know of her displeasure. Dudley was roundly chastised and Norfolk left court for his country estate Kenninghall. He refused a summons to appear before Elizabeth at Windsor Castle. Her anger was further roused. There were whispers of a rebellion, that Norfolk and his supporters would free Mary and march on London. The northern earls were less keen on the marriage; as Northumberland put it, he did not plan ‘to hazard myself for the marriage.’ He and Westmorland and Lord Dacre had local grievances against the queen, mainly religious but also including the erosion of their local authority. As hereditary nobles, they felt pushed aside at court and not given the proper respect. This had been a common aristocratic complaint during her father’s reign as well. Thomas, Earl of Northumberland, and Charles, Earl of Westmorland, the queen’s most true and lawful subjects and to all her highness’s people sendeth greeting: Whereas divers new set up nobles about the Queen’s Majesty have and do daily, not only go about to overthrow and put down the ancient nobility of this realm but have also misused the Queen’s own person and have also by the space of twelve years now past set up and maintained a new found religion and heresy contrary to God’s word. For the amending and redressing thereof divers foreign powers do purpose shortly to invade this realm which will be to our utter destruction if we do not speedily forfend the same …..we will and require each and every of you as your duty to God for the setting forth of his true and Catholic religion ….come and resort unto us with all speed with all the armour and furniture as you or any of you have. And throughout the north, they found ready adherents for their cause. The rebellion made clear to Elizabeth that a quiet decade had not eased religious change upon all her subjects. The Catholic appeal was so strong that the earl of Sussex, sent to crush the rebellion, did not fully trust his own forces. It began in 1569, but the queen was fortunate in her enemies. Norfolk was indecisive; should he risk his grand title and privileges for the possibility of becoming king? While he hesitated, the earl of Sussex led his troops on a steady course north. The rebels themselves were often conflicted in their duties to the queen and their church. When faced with the queen’s army, they returned home. The noble leaders escaped abroad or bought their freedom by giving their property to the crown. The Northern Rebellion was a frightening experience, but it ended satisfactorily enough. It was clear, however, that northern England must be more carefully watched and controlled. And as a result of the rebellion, Regnans in excelsis was issued by the papacy in March 1570. This was the official excommunication of Queen Elizabeth I; she was formally deposed and her Catholic subjects absolved of all loyalty and obedience to her office. The Catholic powers of Europe were also ordered to act against the unlawful queen. She was a heretic and enemy of the true faith. This moment had been long expected in England. And it brought fresh impetus to the Protestant councilors to protect Elizabeth’s life. A papal bull could be a powerful document. It could be used by any Catholic prince, though Elizabeth’s mind turned immediately to her former brother-in-law Philip II, to justify an invasion. In 1571, parliament took action. It was now treason to declare Elizabeth a heretic or impugn her claim to the throne. The fines for recusants, those who did not attend Protestant church services, were increased dramatically, from a shilling a week to 20 pds a month. Many noble Catholic families would not compromise their faith and paid the fines; they were driven into poverty. In later years, it would become treason to convert to Catholicism and all Catholic priests were ordered to leave England. This happened only after Catholic plots against Elizabeth’s life had been discovered. Many of these plots were led by agents from Douai, dozens of whom had secretly returned to England. Elizabeth had reason to hope these measures would be successful. Mary Stuart’s son was growing up safely Protestant in Scotland and Elizabeth was friendly with his ministers. English Catholics were deprived of priests, unable to attend universities, and support from European allies was slowly being cut off. This support was particularly troubling; the first Catholic martyr of her reign, Cuthbert Mayne, was executed in 1577, but only because he had committed political treason. There was no need to make martyrs, the council thought, and it should be remembered that the Catholic problem coincided with the rise in Puritanism. Elizabeth often wondered aloud at her subjects’ ingratitude. She had kept them safe and secure at home, thought only of their welfare, and yet it seemed plots against her abounded. Perhaps the most confused subjects were those Catholics loyal to the queen but now deemed traitors because of their faith. They were condemned to political limbo because of extremist actions. 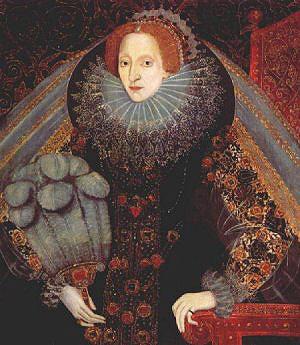 The insularity of Elizabeth’s reign was thus broken in 1568, and she was forced into continental affairs. This was not of her choosing. But the papal bull could not be ignored, nor the brutal actions of Alva in the Netherlands. Perhaps she didn’t seek the role, or relish it, but Elizabeth was regarded as the champion of Protestantism in Europe. At first, Spanish hostility was tempered by Philip’s conflict with France. He wanted Elizabeth’s support and she encouraged him by considering a possible marriage. Of course, she had no intention of accepting his proposal but it was a useful diplomatic tool. But then Alva’s 50,000 troops arrived in the Netherlands, and began to systematically attack its Protestant population. They in turn sought Elizabeth’s aid. Also, the Huguenots (French Protestants) were under attack, most famously in the gruesome St Bartholomew’s Day Massacre of 1572. Cecil urged support; after all, where would Alva’s army go once it finished with the Netherlands? They would have a secure base for either destroying English trade or invasion. Dudley and Norfolk (tentatively pardoned by the queen after he promised to never contact Mary Stuart) urged caution. The queen must abandon the Dutch and the Huguenots, or she faced wars with France and Spain. She would save her precious treasury as well; Elizabeth had inherited an empty treasury and hence loathed to part with money. She prevaricated as much as possible. She allowed English ships under Drake and Hawkins to harass and seize Spanish ships returning from the New World; she did not officially approve of their actions but she gladly accepted stolen Spanish bullion. She sent small contingents of troops to the Netherlands, though the situation deteriorated steadily over the next several years. Philip retaliated by supporting insurrection in Ireland. This conflict with Spain and the problem of Mary queen of Scots continued to vex Elizabeth for many years.